This range covers the North American continent during the 17th - 20th centuries and will cover the American War of Independence, the American Civil War and the various Indian wars as well as the "Wild West" period. 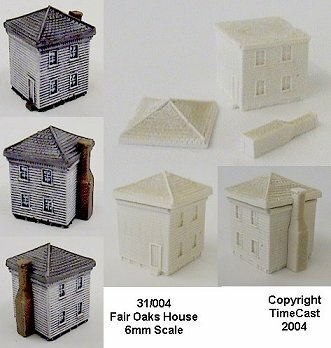 As with our other ranges, the models have been carefully researched and are based on photographs of existing buildings, modern reconstructions and contemporary artwork or photographs. 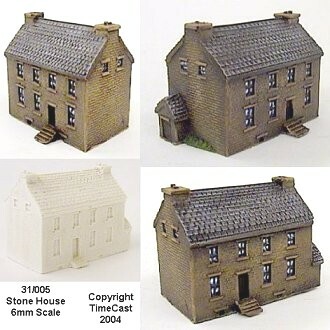 The model represents a typical 19th Century wooden farmhouse and is based on the post war rebuilt Henry House (the one on the present day site) rather than the original which was badly damaged during the battle. 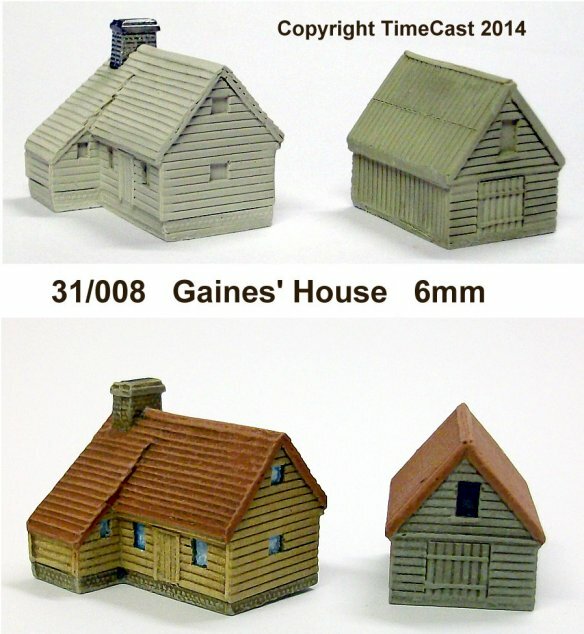 The model comprises six pieces and includes a cast metal chimney and porch. 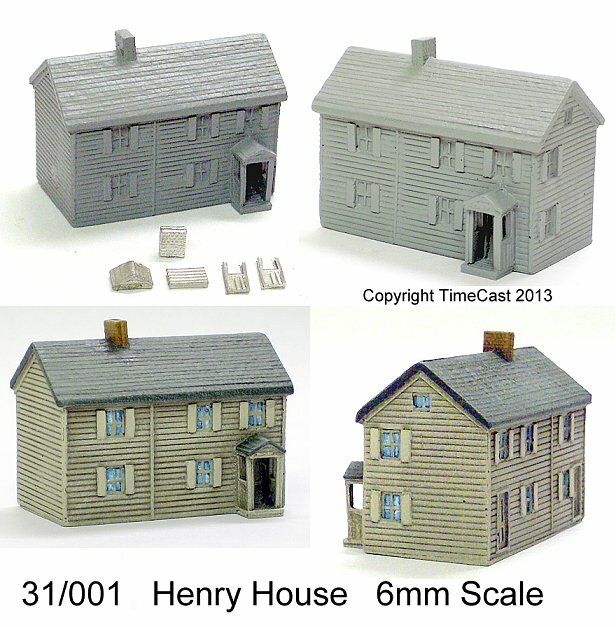 Please note that some assembly is required - a free instruction sheet in PDF format is available to download here (right click to download): Henry House Instruction Sheet. Brian Farm - Gettysburg. 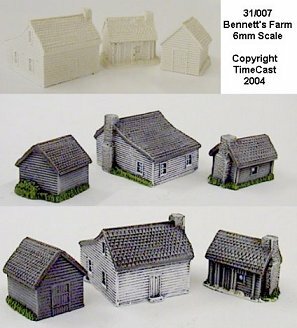 Based on contemporary pictures and modern reconstructions this model is a typical small farm building. 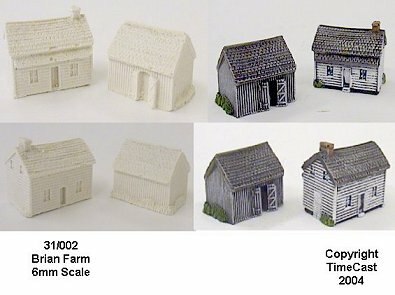 A two piece set comprising a farmhouse and barn. 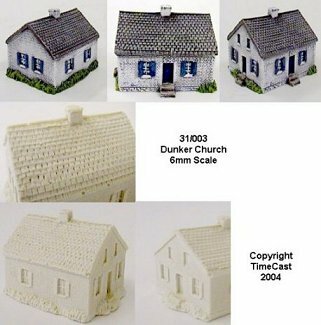 Dunker Church. The famous whitewashed brick church from the Antietam battlefield. Fair Oaks House. A wooden clapboard house. Based on contemporary photographs of the Fair Oaks/Seven Pines battlefield. This model is a three part kit and requires some assembly. 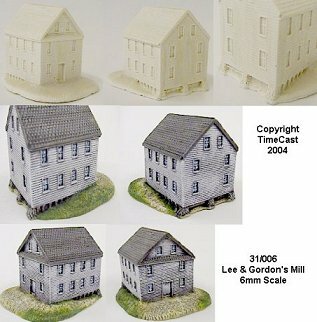 Lee & Gordon's Mill, Chickamauga. Based on the wooden mill building on the Chickamauga River (photographed shortly after the battle). Gaines' House. An 18th Century house near Mechanicsville, Virginia. 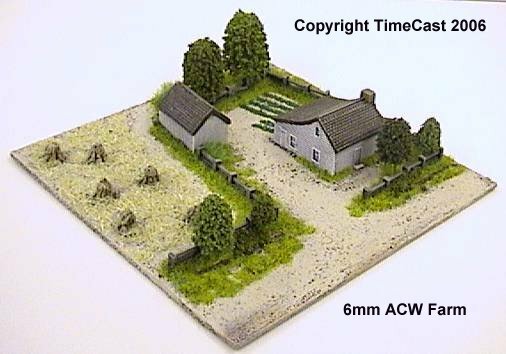 This set includes the house and a wooden shed/utility building. The model includes a metal chimney and some assembly is required. The original building is described as being painted in "red" and "yellow". A comparison with colours made by modern companies specialising in "historical" paints indicate that the house was probably painted with yellow ochre walls and a terracotta red roof. 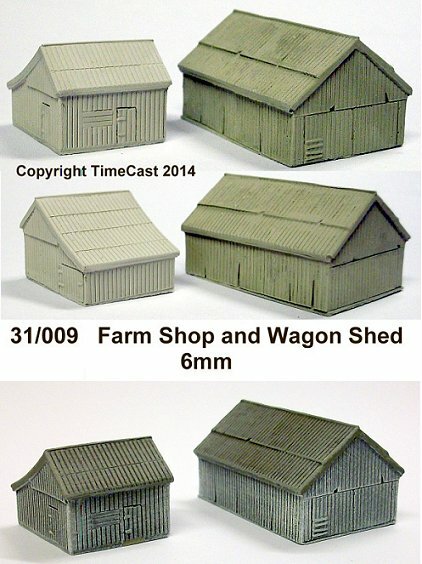 Farm Shop and Wagon Shed. These buildings, believed to have been built in the early 19th Century, were part of the Poffenberger Farm estate at the time of the battle of Antietam.